Find the difference and counting puzzles, mazes, coloring pages, applique shapes – tons of things to enjoy time with your children! Here is a piglet from The Three Piglets tale, the one who has used stones to build his house. Do you remember his name? 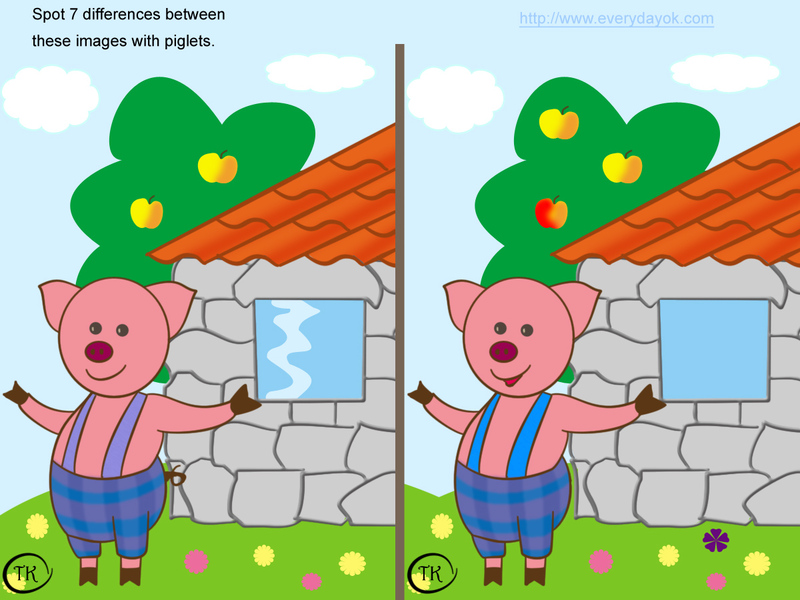 Spot 7 differences between these two images with the piglet and his house. Here is the image with answers.